When in Bradford, one of the UK’s curry capitals (I don’t want to get into arguments here…) you should head to the busy and long Leeds Road we are told by nearly everyone. Assuming you’re after a curry, of course. Zouk’s Tea Bar and Akbars are two places that are highly recommended. But these were rammed and there were queues so we plumped for a less-assuming place. Mughals is essentially a takeaway but it has a few of those plastic canteen style tables so you can eat in if you choose. 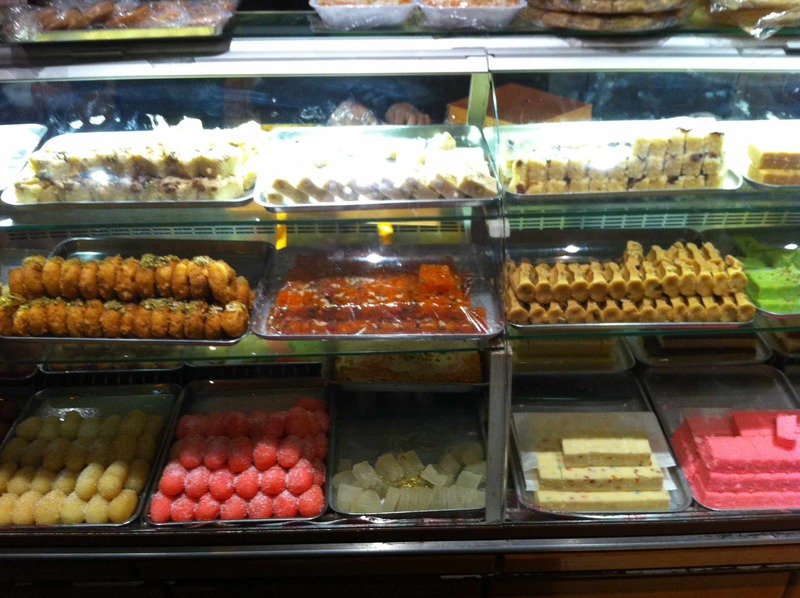 Its fronted by a huge display of colourful sweets and desserts, and many people pass through to do nothing more than pick up a few treats. But we’ve got our mind on something more spicy. We go for Seekh Kebab (£1.95 each) and Lamb Chops (£4), all mouth-watering and up there with the best tandoori you’ll find anywhere. 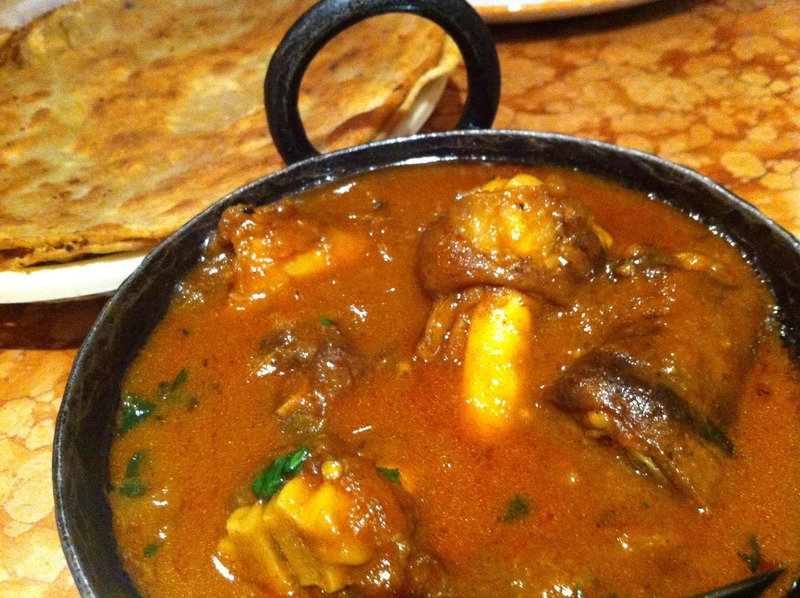 Then we add a Paya Balti (trotters) at £6.95, to be scooped up with chapattis (35p each). Yes that is 35p each. To those who don’t like trotters I can only describe this as sucking spicy fat off a bone. You’ll find more meat in the African Chicken Feet recipe that is posted elsewhere on this site. But a man I know who is a big fan of goat’s and cow’s trotters (it’s obviously off-limits to Hindus) says tucking into paya is like “really eating the cow”. And he was licking his lips as he told me. He also told me a nan (£1.60 in Mughals) would be better than the chapattis with a dish he describes as a winter dish or a dish ideal for cold mornings. • No alcohol is served but you can bring your own and there are shops nearby. Mughals, 790-792 Leeds Road, Bradford, BD3 9TY. Open: daily 3pm–11pm.